I mentioned the other day that this weekend the place to be is downtown Tampa, at Riverfest 2015. You already know about the run, but that’s just one piece of the celebration! I love listening to the Blues. Why yes, I do like most music. How can you not? Especially when it’s live. Get your general admission or VIP tickets (all you an drink!) HERE. Or you can enter to win a pair. Just leave me a comment and enter here: a Rafflecopter giveaway. Bloody Marys and the blues aren’t your thing? Fine. How about a carnival? How about games and rides like the Para Trooper, Carousel, Fun Slide, Orbiter, Swings or Star Screamer? How about kid friendly shows like magicians, story tellers, balloon artists and face painters? Like you have to be a kid to appreciate that. All that and a full bar and music too. Ya, of course it sounds amazing. The urban carnival will be at Cotanchobee Park on the Tampa Riverwalk both Saturday and Sunday. You can go the old fashioned route and buy tickets for the games and rides or you can purchase an all day ride pass here. Of course, you could just win a pair by leaving me a comment letting me know your favorite carnival ride and entering my drawing here: a Rafflecopter giveaway. I’ll announce the winners Friday! I received tickets to the tampa downtown carnival as a member of Tampa Bay Bloggers thru their partnership with the Big City Events in exchange for this giveaway. All opinions are my own, of course. I have a confession to make. OK, it’s not really a confession because everyone knows and I’ve said it before. I am a LAZY runner. I’ve been running for ages and still have never run much more than 4 miles because I tend to take breaks. Usually just because I lose the bug, sometimes, like this last time, because of a ulcerative colitis flare. Even when I take a break because I’m sick I tend to milk it. I haven’t been sick in over a month and I just started running again last week. This time I decided to stop pretending like I have running pride and I am sticking to a beginner 5K plan I found on Runkeeper. For free! Check them out. Anyways, I found the perfect motivation to stick with it for a couple of weeks at least, and by then I’ll be back in the habit. 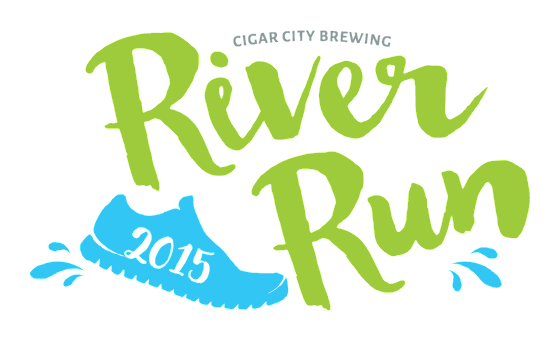 Sunday, May 3rd at 10am Cigar City Brewing is having a fun run in downtown Tampa along the Tampa Riverwalk. There’s no color being thrown on you, no obstacles and no mud. So what makes this a fun run? Well. Let me tell you. First of all, it’s only 2 miles making it the perfect run for someone who hasn’t been running so much lately. Short and sweet, sounds perfect! Secondly, since it’s being put on by Cigar City Brewing you know you’ll be getting a Cigar City Beer afterwards. AND the medal that you get doubles as a beer opener. Which (call me an optimist if you must) I feel pretty confident will also open my Angry Orchards. You also get a t-shirt. I really should begin calling myself a professional t-shirt collector between running and donating blood! OH, lets not forget that this run is just one part of a BIG weekend in Tampa! As part of the RiverFest 2015 there will also be the Bloody Mary Festival and a downtown carnival, both of which I’ll be doing a giveaway for very shortly. There’s PLENTY more going on as part of RiverFest 2015, you really should check it out! But, back to the run. Want to go? You can check out the run and register here. Or, I’m giving away a pair of tickets to a random winner. To enter just leave me a comment telling me what your first run was, or letting me know if this would be your first! Don’t forget to click HERE: RiverRun giveaway and let me know you are entering! That way I’ll have your email address to let you know if you win. 🙂 The contest runs through Sunday night and I will contact the winner on Monday. I received 2 tickets to River Run 2015 as a member of Tampa Bay Bloggers thru their partnership with the Big City Events in exchange for this giveaway. All opinions are my own, of course. To be honest, I didn’t really know what Pippin was when I first heard about the show. I looked on Straz’s site and saw “Broadway’s high-flying, death-defying hit musical” and thought death-defying DOES sound interesting! Maybe no zombies and no space monsters would be OK? After all, a Spartan race is not the only way to step outside of your every day and try something new. Then my partner in crime asked around and was told he was uncultured for even having to ask. Seems Pippin is a big deal with a lot of history and we WERE uncultured for not knowing it. Well, thank goodness we were able to right that wrong! The theater was full and it was pretty obvious that people were excited about the show. And now I know why. It was excellent! Pippin the Musical has a little (or a lot) of EVERYTHING. It seems the entire cast has incredible singing voices, can dance, can flip, balance, and do all sorts of other things that I would not even attempt. The sheer number of people all doing different things yet perfectly working together at any given time in the show was pretty amazing all by itself. It’s a circus act rolled up in a drama that includes war, patricide, sexual innuendos, philosophy and love. 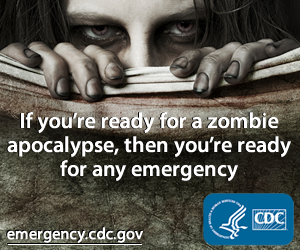 And I would say that technically speaking there is even a zombie or two. But don’t quote me on that. In other words, something for everyone. My pictures a a wee bit fuzzy because I used my (brand new) cell phone and I was back a ways, but I’m still sharing. Which, by the way brings up a great point – if you decide to go see the show there is not a bad seat in the house. I was pretty neat the back and could both see and hear everything perfectly, the fuzz is my phone not the seats. This guy is kind of amazing, I so want to try this at home. Stupid insurance deductible. Fri. April 17th at 8 p.m. Sat. April 18th at 2 and 8 p.m.
Sun. April 19th at 2 and 7:30 p.m. If you aren’t in the Tampa area, move because you are missing out. But while you are waiting for your house to sell you still may be able to catch Pippin, it is after all a U.S. tour not a Florida tour. But heads up, they will be in Orlando and West Palm Beach. Check here to see if they are coming near your town. I mentioned that I was going to the Spring Beer Fling last month, then never got around to telling you about it. Why, you may ask? Well because I was super happy with some of the cool pictures I took, then I dropped my cell phone (aka my camera) into the toilet. Happily, it was freshly cleaned and shiny. Unhappily, my phone didn’t care about my wonderful cleaning habits. Here’s a thing I found out: turn your phone off IMMEDIATELY if it gets wet. Because otherwise things get fried, to put it scientifically. Even alcohol and organic rice will not save it. The Spring Beer Fling was A LOT of fun. I didn’t get to try all of the different drinks I would have liked to because of that thing were I had to wake up eventually but I did try Light My Fire which was as amazing as expected. A mixed drink with Angry Orchard and Fireball? Like that could be not awesome. Also the Arnold Palmer Remix with Sam Adams Cold Snap, lemonade, and Deep Eddy Sweet Tea Vodka. ‘Cuz vodka. I did not try a single Beerlini Puree which is a sad, sad thing but I was a too little distracted to remember everything. The bands were a lot of fun. And guess what? My partner in crime did not destroy his phone so I actually have a couple of pictures. 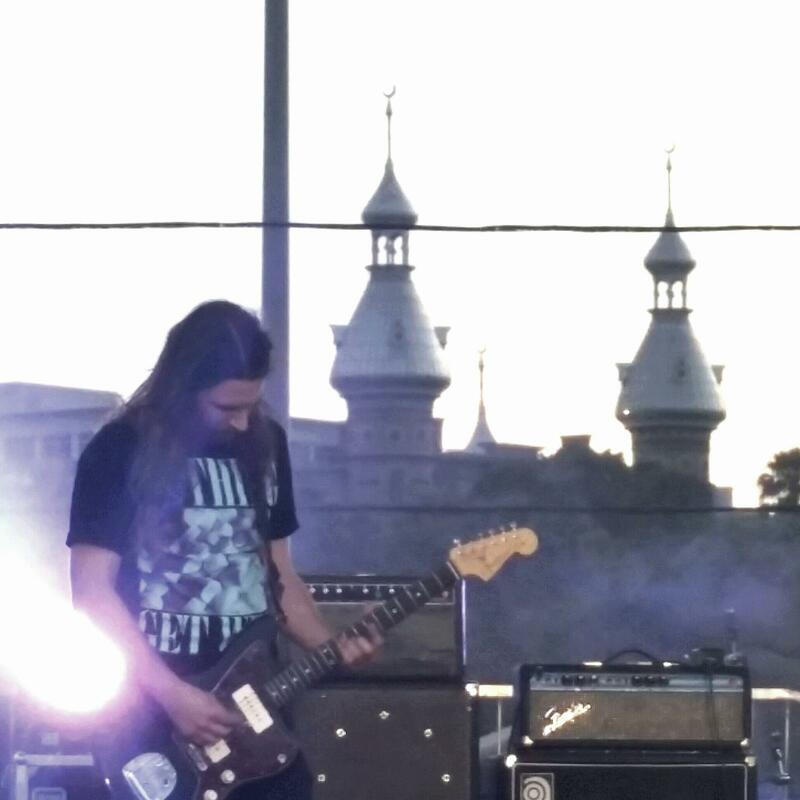 You have to love The University of Tampa in the background. As a matter of fact I was so loving it we walked across the river to check out the buildings. If you get a chance, walk through them, they are pretty amazing. I’d show you, but you know, the phone incident. That’s another great thing about the Beer Fling. We got bracelets at the door (paper, not like, jewels or anything) and we could leave and come back as we wanted. Since the Fling was from noon to 10pm that made it pretty cool. There are a LOT of things to walk around and look at around Curtis Hixon Park. If you missed it you can’t go to the Spring Beer Fling again until next spring, of course. However, Big City Events, who put this on, has several other events every year, and they seem to add new ones all the time. So check out all of their coming events, and maybe I’ll run into you at one of them. Not that either of us would know that, but still. I received two VIP tickets to Spring Beer Fling 2015 in exchange for writing a review and a giveaway. As always, my opinions are all mine. They love color runs so much that this year their birthday party was Color Me 4 – complete with a color run around the park. So what’s the biggest, best-est (yes, that’s a word. Stop mocking me!) color run coming? 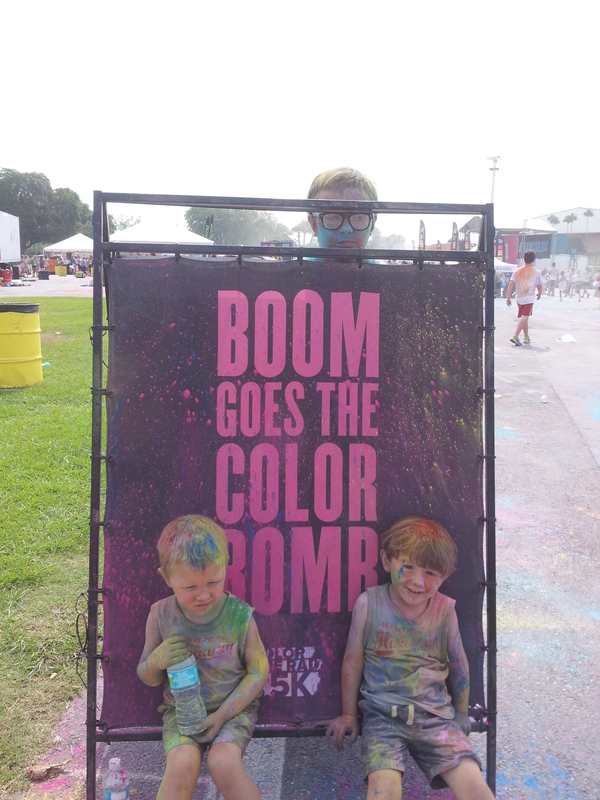 How about Color Me Rad? Of course it is. This year they’re going to have DOUBLE the color- powder AND color gel. How cool is that? Very, that’s how cool. OK, yes that would have been better set to Slipknot but I had nothing to do with the music choice. I think the point is it looks like a whole lotta fun. So you should probably sign up to win a pair of tickets to the Tampa run! The winner will be emailed next Wednesday morning. Your entry includes a t-shirt, a pair of knee-highs, a color pack, the run of course and free photos. I love free photos! Just in case you don’t win, want to get your tickets NOW, or just want more than 2, here’s a code for 40% off the Tampa run. How are you gonna beat that? 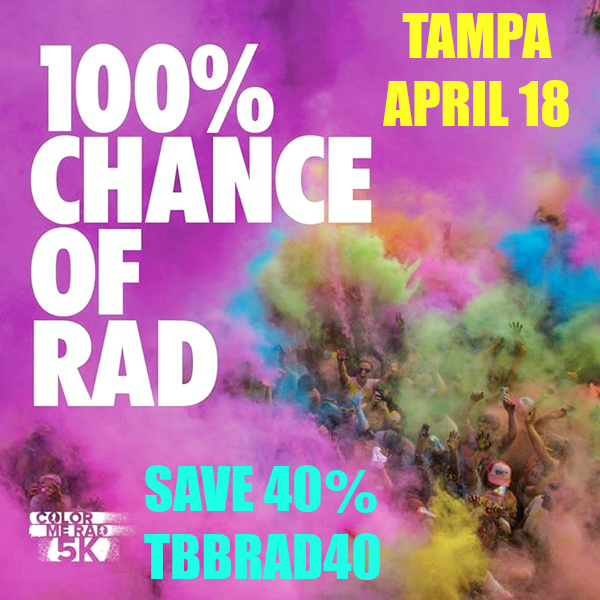 Disclosure: I received race entries through the Tampa Bay Bloggers’s partnership with Color Me Rad in exchange for this giveaway and for writing a review.